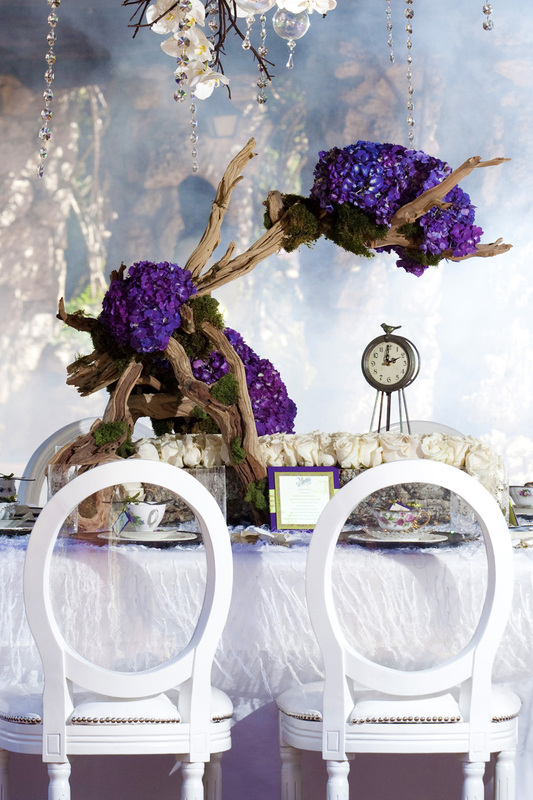 I just went back in the blog and noticed that I never posted the photos from the Alice in Wonderland inspired photo shoot - So, dreadfully late, please accept my apologies and enjoy! 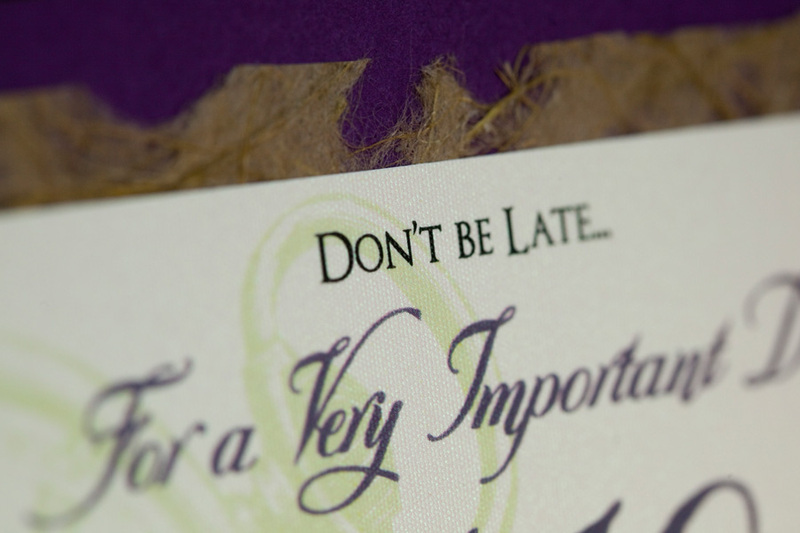 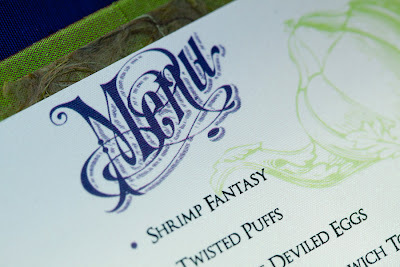 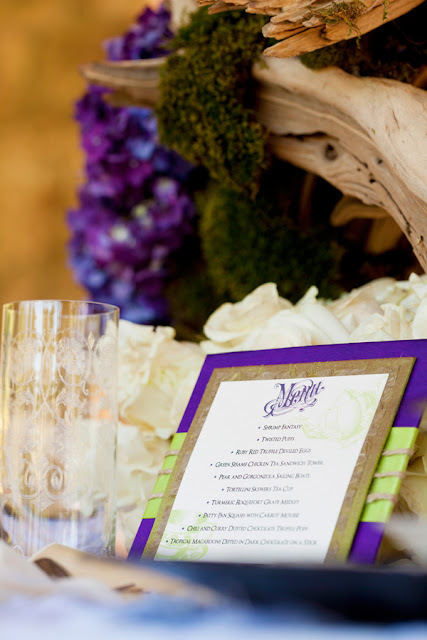 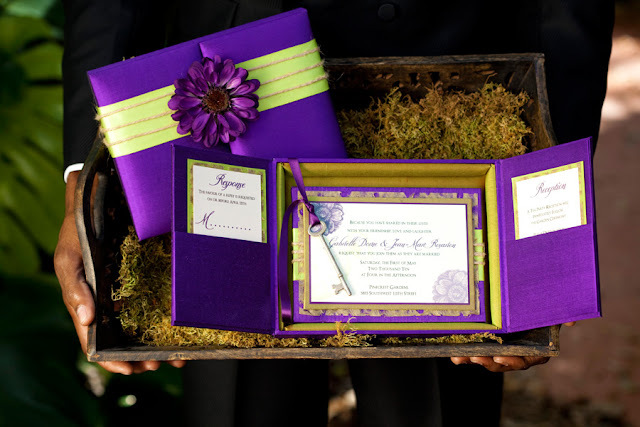 A Silk Invitation Box was created using purple and iridescent green dupioni silks. 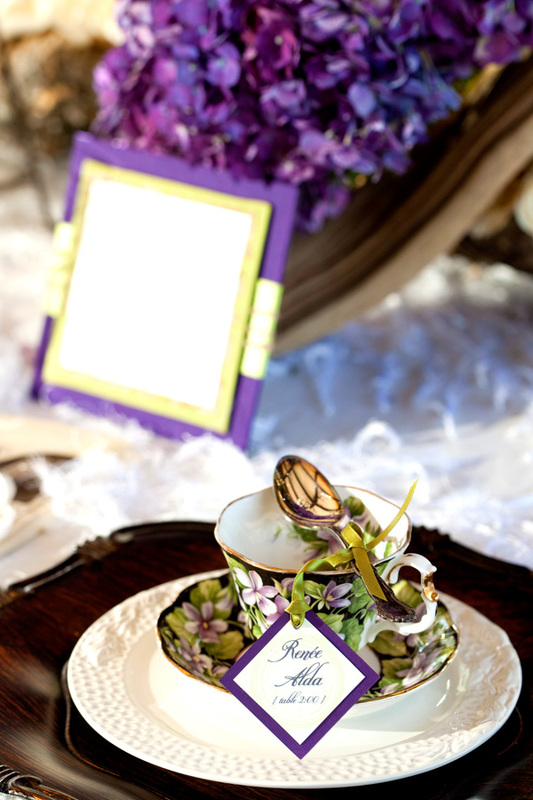 satin ribbon, fiberous paper and twine. tea pots and clocks to echo the story. 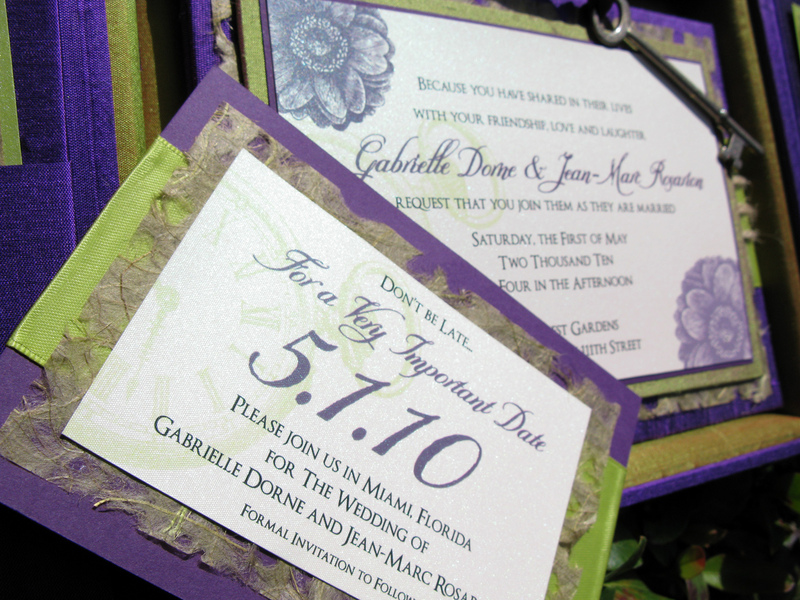 carefully selected for their purple and green color distortion of the silver. 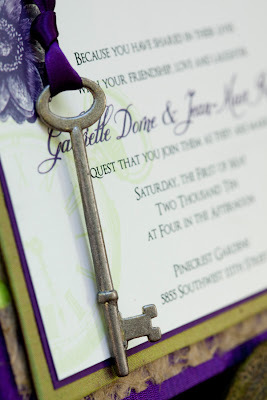 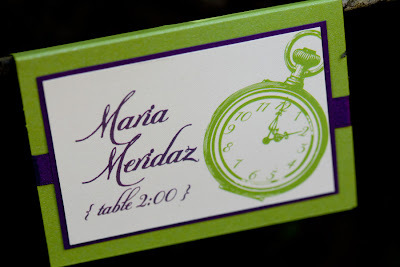 The guests were directed to a time as opposed to a table number - the table "number" was a real clock stopped at a specific time. 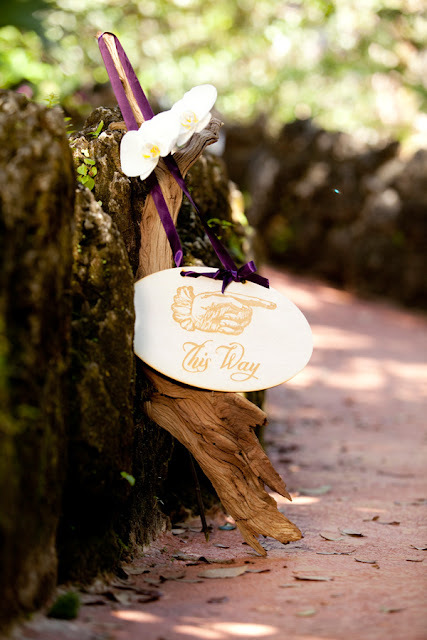 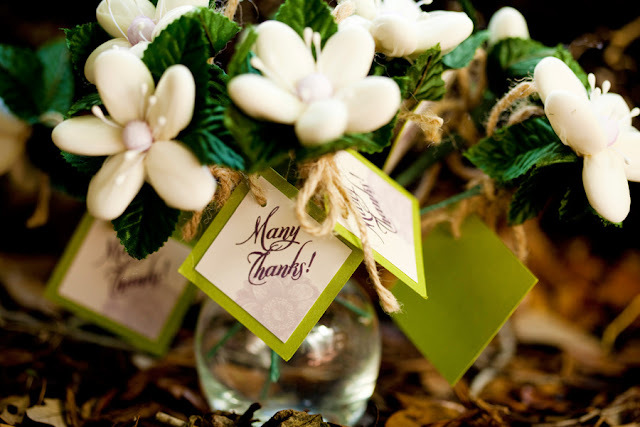 White-Washed wooden signs were engraved with vintage-inspired graphics and fonts and strung with deep purple satin ribbon. Signs read "This Way", "That Way" and "Welcome to Our Wonderland"
The table scape, showing the clock "table number"